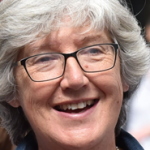 Professor Ann Louise Kinmonth is Emeritus Professor of General Practice at the University of Cambridge, and convenor of the St John’s College Reading Group on Health Inequalities (established 2014). Ann Louise studied for her MD in Oxford. She was Lecturer, Senior Lecturer, Reader and Professor in Primary Medical Care in the University of Southampton 1983 to 1996. 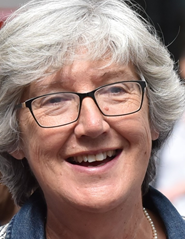 Ann Louise held the Foundation Chair of General Practice at the University of Cambridge 1997 to-2011. Since then she has been Director of Research at Cambridge, Clinical Director of Studies (St Johns), Academy of Medical Sciences mentor, and since 2014, Convenor of the St John’s College Reading Group on Health Inequalities. Professor Kinmonth’s main areas of research interest are development of trial evaluations of complex behavioural intervention, the prevention and management of chronic disease, patient-centered care, and inequalities in health. Professor Kinmonth was a practising GP for 30 years and continues to teach General Practice in developing countries. She was appointed CBE in for Services to Primary Care Research. Patient centred care health behaviours and cardiovascular risk factor levels in people with recently diagnosed type 2 diabetes 5 year follow up of the ADDITION Plus trial cohort. Hajira Dambha-Miller, Andrew J M Cooper, Rebecca K Simmons, Ann Louise Kinmonth, Simon J Griffin BMJ Open 2016 Jan 6;6(1):e008931. Epub 2016 Jan 6. Multiple behaviour change intervention and outcomes in recently diagnosed type 2 diabetes the ADDITION Plus randomised controlled trial. Simon J Griffin, Rebecca K Simmons, A Toby Prevost, Kate M Williams, Wendy Hardeman, Stephen Sutton, Søren Brage, Ulf Ekelund, Richard A Parker, Nicholas J Wareham, Ann Louise Kinmonth Diabetologia 2014 Jul 24;57(7):1308-19. Screening for type 2 diabetes and population mortality over 10 years (ADDITION-Cambridge): a cluster-randomised controlled trial. Echouffo-Tcheugui JB, Sharp SJ, Sargeant LA, Williams KM, Prevost AT, Kinmonth AL, Wareham NJ, Griffin SJ.. Lancet. 2012 Oct 3. pii: S0140-6736 (12) 61422-6. doi: 10.1016/S0140-6736(12)61422-6. Effect of adding a diagnostic aid to best practice to manage suspicious pigmented lesions in primary care: randomised controlled trial. Walter FM, Morris HC, Humphrys E, Hall PN, Prevost AT, Burrows N, Bradshaw L, Wilson EC, Norris P, Walls J, Johnson M, Kinmonth AL, Emery JD. BMJ. 2012 Jul 4;345:e4110. doi: 10.1136/bmj.e4110.